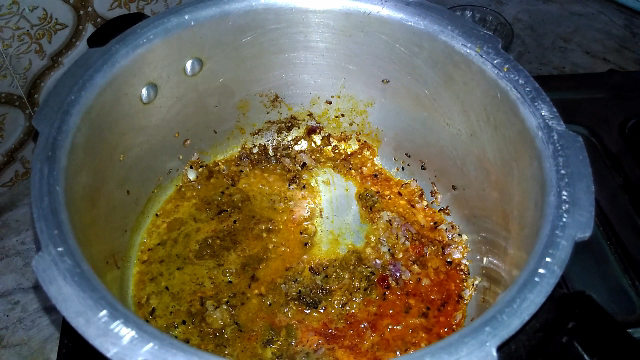 Heat Oil in a cooker, add cumin seeds and kalonji (black seeds). Now add finely chopped garlic and grated ginger and saute. 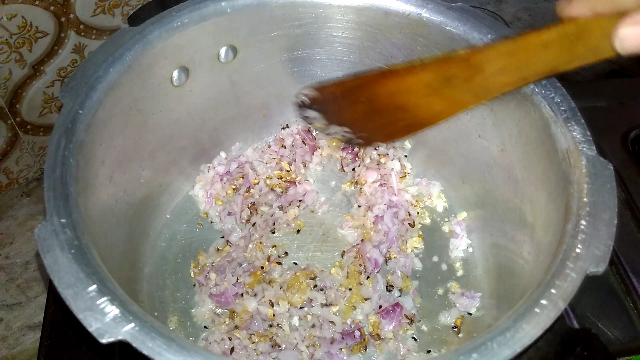 Add finely chopped onion fry till it slightly change colour. Add turmeric powder, red chilli powder and garam masala powder and stir well. 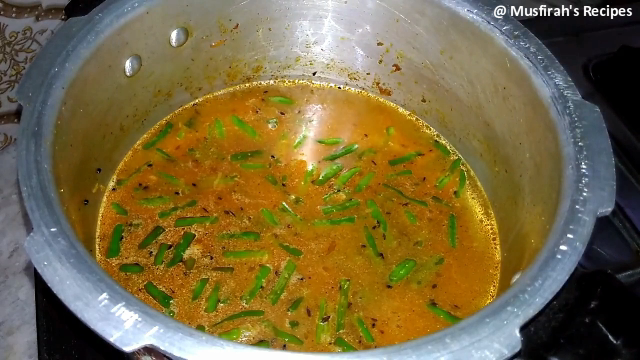 Add 2 tblspn water and cook till oil separate from the masala. Now add green beans and saute well. Add soaked chana daal and fry few minutes. Add two cup water and cover the lid. after one whistle turn the heat low and cook about 10 to 15 minutes. Enjoy with rice or chapati. 1. 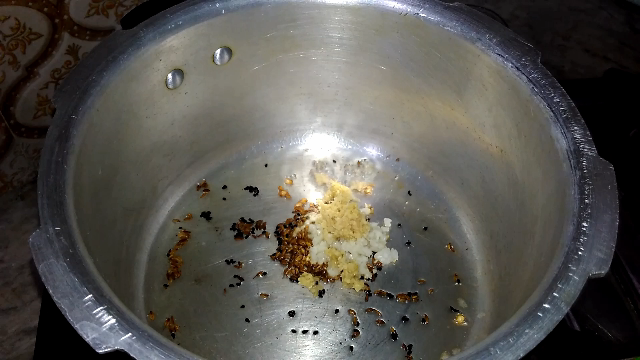 Heat Oil in a cooker, add cumin seeds and kalonji (black seeds). Now add finely chopped garlic and grated ginger and saute. 3. Add turmeric powder, red chilli powder and garam masala powder and stir well. 4. 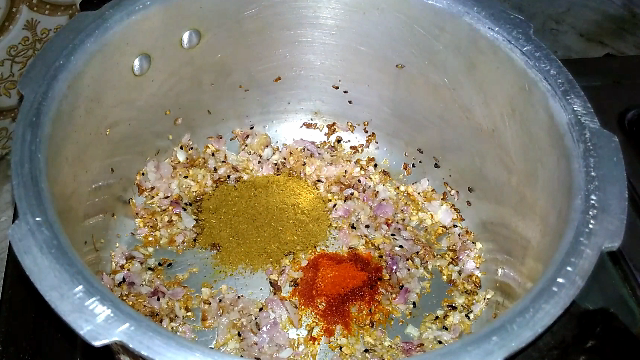 Add 2 tblspn water and cook till oil separate from the masala. 5. 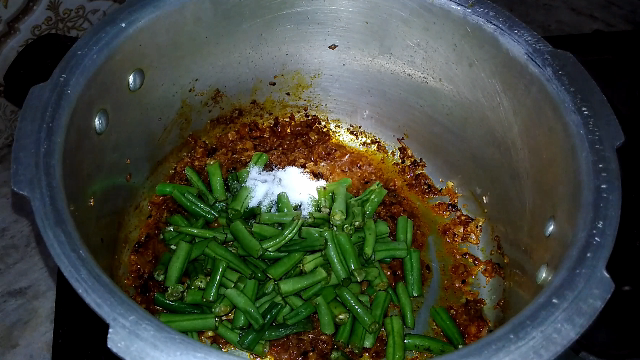 Now add green beans and saute well. 6. 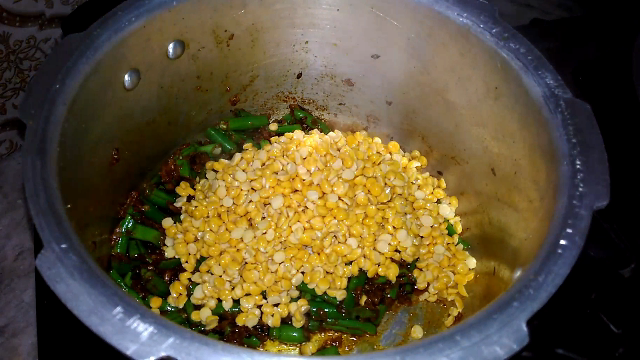 Add soaked chana daal and fry few minutes. 7. Add two cup water and cover the lid. after one whistle turn the heat low and cook about 15 minutes . 7. 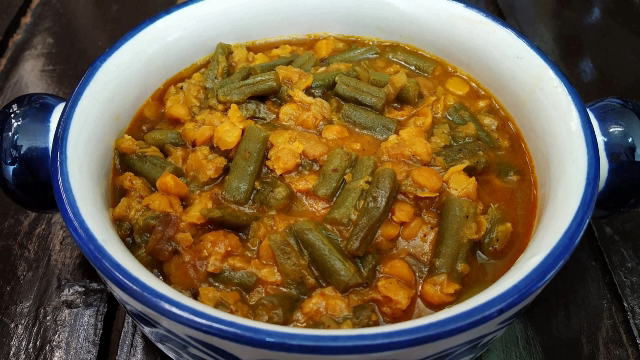 Now it's ready to serve.enjoy with rice or chapati.